1. No Need to Feel the Chill! 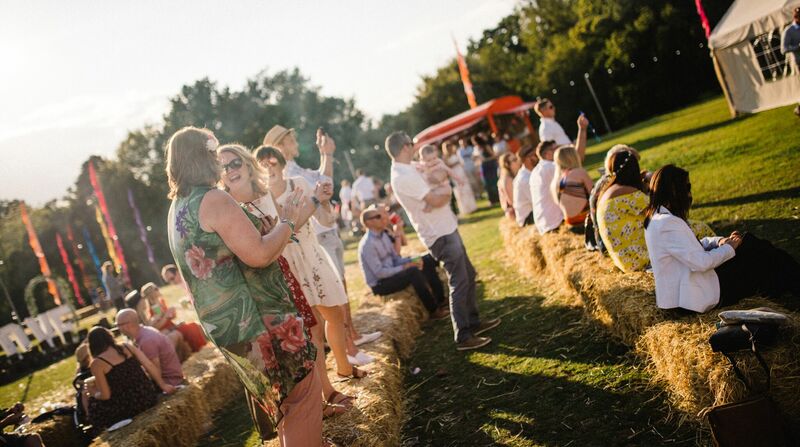 To start with, our festival season begins in May and ends in September – this is so we can ensure the months we put on festivals are the warmest out of them all. It might be that evenings are slightly chilly than during the days, but we like to think of this positively. 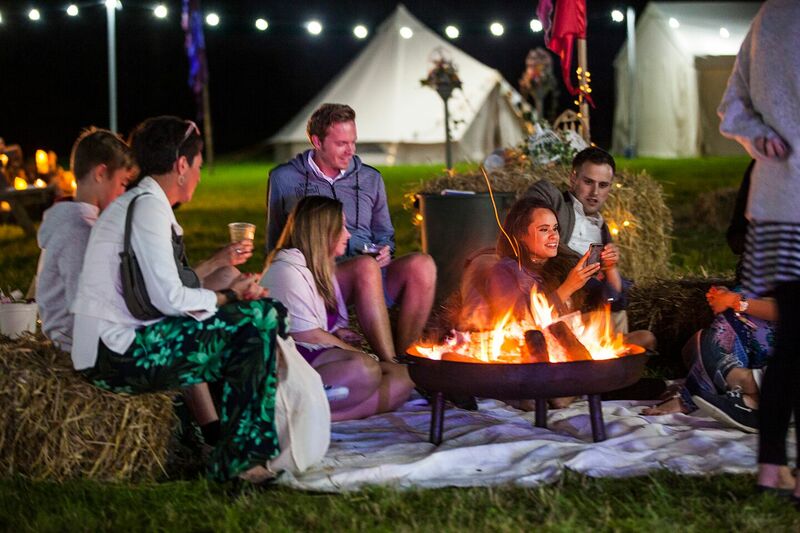 We have campfires, blankets, and marshmallows to toast, making sure all guests feel cosy and warm. And now for the frightful word that is on everyone's tongues when organizing their festival wedding...RAIN. Yes, we are in England, there is the chance of rain! But that is something that here at I Do, we are totally prepared for in our wet weather contingency plans. We like to refer to it as a form of liquid sunshine that occasionally graces us with its presence! As long as you come armed with a brolly and welly boots for back up, we've got the rest covered. 3. But will my wedding be legally binding after the blessing? 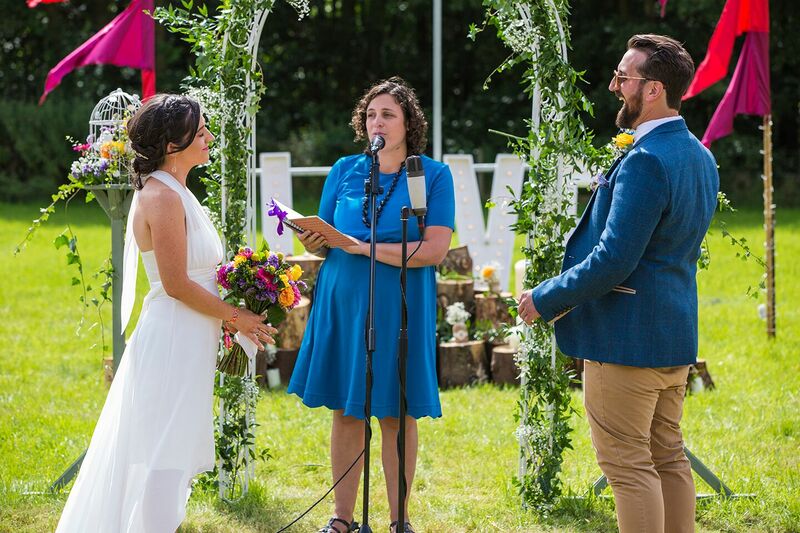 So, if you know your stuff on our festival weddings, you will know that the blessing ceremony cannot count as 'the official legal bit'. How we see it is; save the paperwork for another day, making your only worry to be your next drink choice! 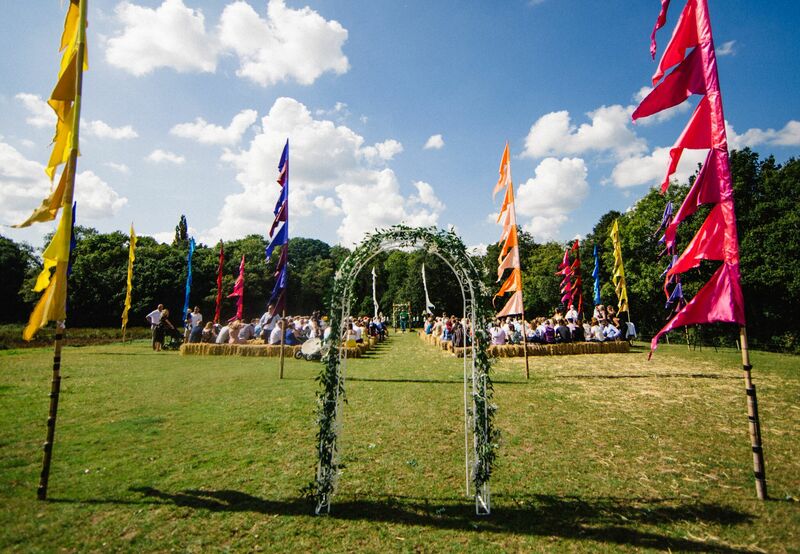 We recommend that you head down to either a registry or a church before your big festival day, or the day after if you wish, and enjoy the excitement of the festival with your nearest and dearest! So here at I Do, it is our number one priority to tailor our services to suit your budget as much as we can. We can offer bronze, silver, and gold packages, where we can create bespoke packages for you. 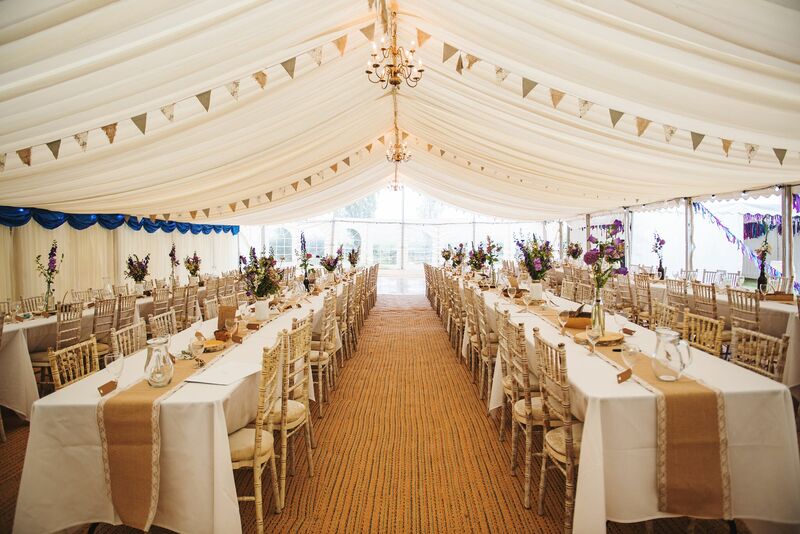 Additionally, our simply outdoors package has been created to suit couples who are not wanting to spend quite as much, offering more of a starter pack for the essential elements of your festival wedding. Even though we offer these set packages, every quote we put together is customized and individual to the couple, where we do whatever we can to accommodate to your requirements and needs. When you're choosing an outdoor venue to host your wedding, you are essentially choosing a blank canvas. Although this is great for creating a site that is personal and authentic to you and your partner's day, it means there are certain things you need to think about that perhaps you wouldn't think of if choosing a hotel venue etc. For example, we have to think about hiring in toilets, a skip for waste, a mobile fridge, power, water, security, comfort, the list goes on! However, it's a list that you certainly don't have to worry about. We have got it all covered, leaving you just the fun bits to plan!